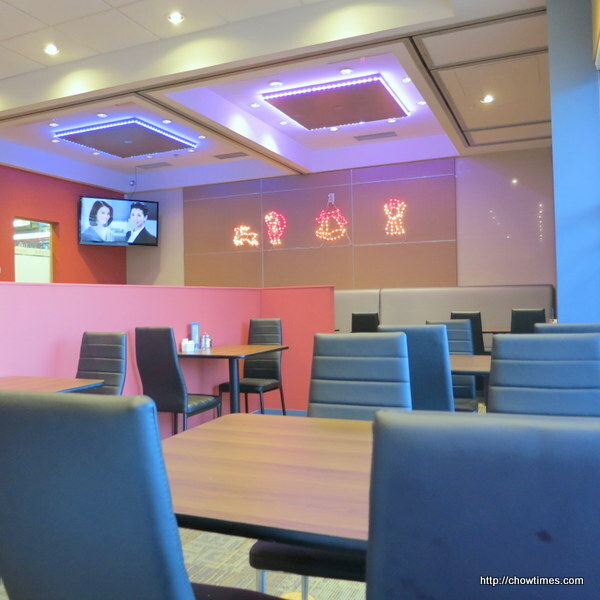 We had dinner at Szechuan Delicious Restaurant on a Saturday. 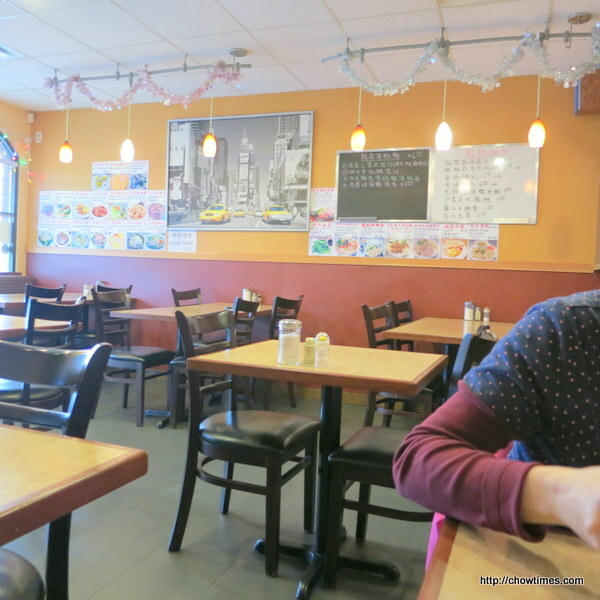 Oh boy, this restaurant was busy as always. 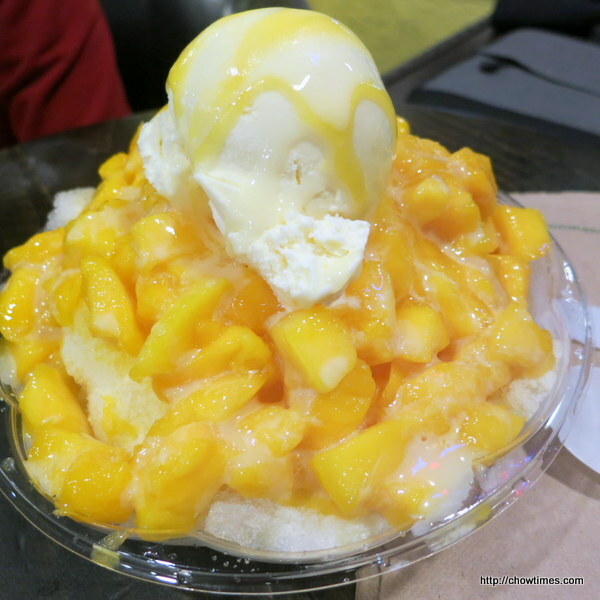 After dinner, we decided to have dessert at the fairly new Mango Yummy. We were there when it was not busy yet and we got the comfortable sofa seats. By the time we were about to leave, this place was full house. The moment we vacate our seats, a few girls quickly grabbed the sofas. This is a self service place. You place your order and pay at the counter and they only accept cash. 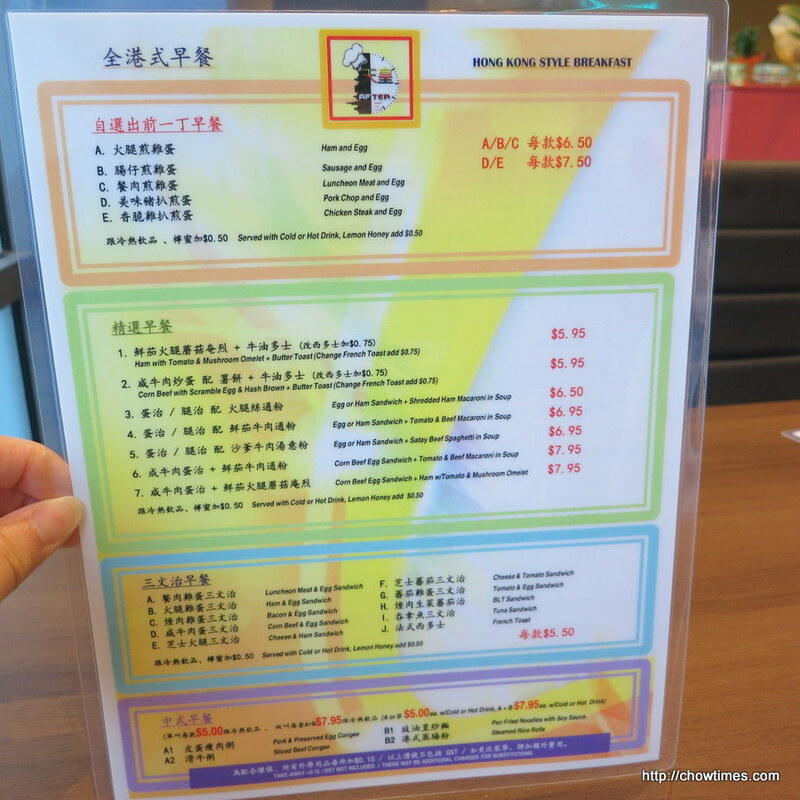 When your order is ready, the server will call out your order and you pick up your order from the counter. Polly, CC, JK and I met up for a Dine Out Vancouver event. 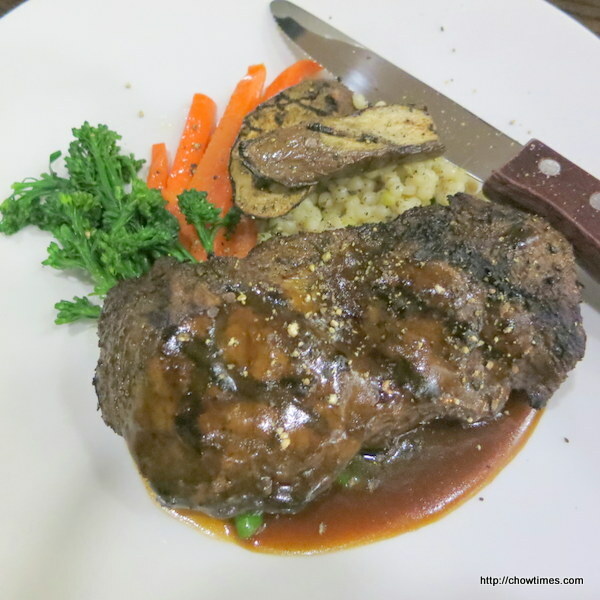 I picked Harold’s Bistro & Bar for the convenience of all as we all live in Richmond. Free parking is available for diners at Harold’s Bistro & Bar at the outdoor and indoor parking. You have to inform the hostess of your license plate number. 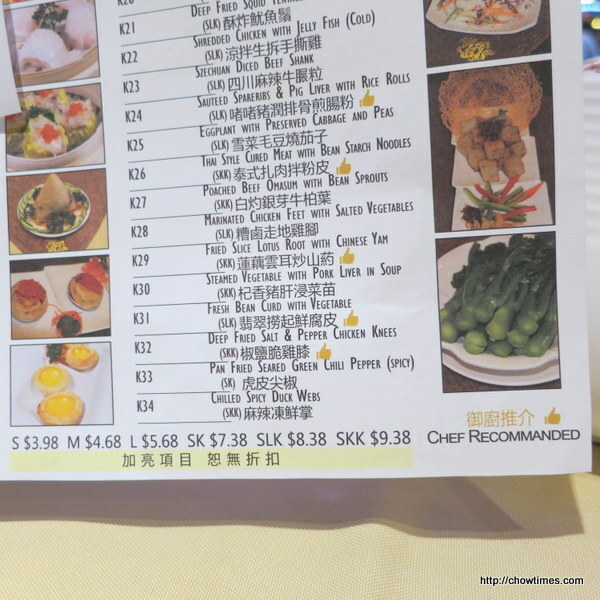 The Dine Out Dinner Menu is $28. 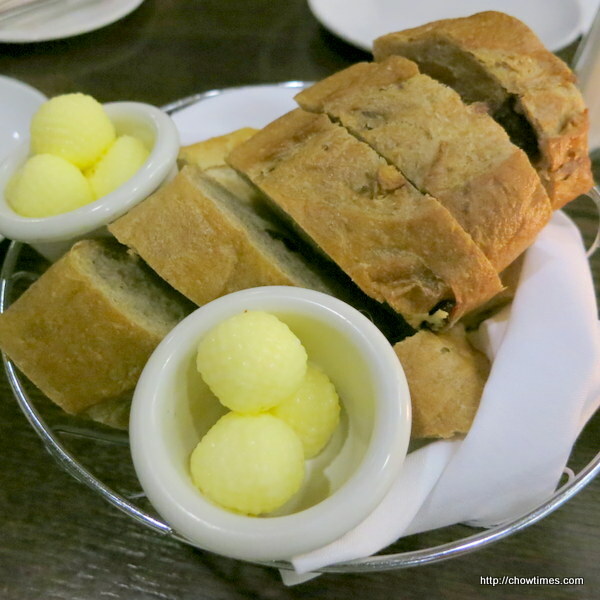 Complementary bread with butter. I like the one with cranberry. There were 3 options for the appetizers, entrees and desserts. Since there were 4 of us, we ordered one of each and picked a double for items we like most for sharing. 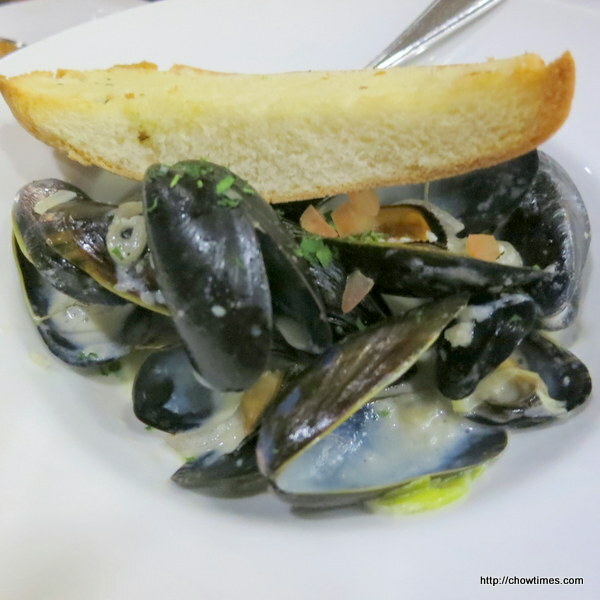 We had two servings of the Mussels with White Wine/Shallots/Garlic/Cream and Garlic Bread. Unfortunately, the mussels were very small and skinny. The second appetizer is Tomato Tart. 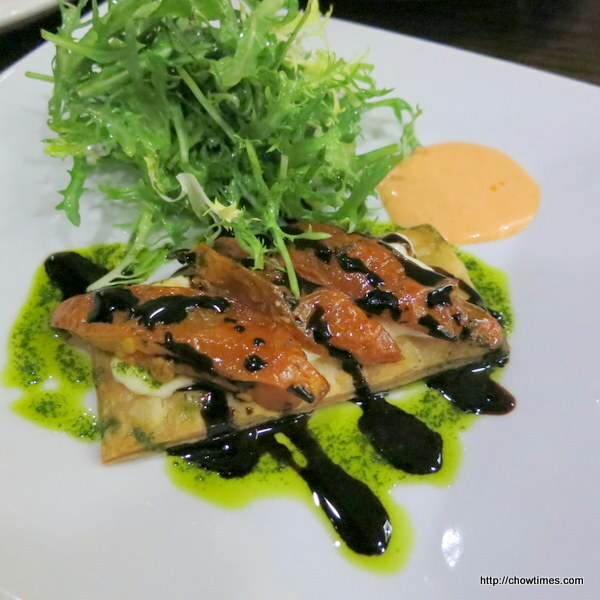 It is puff pastry topped with mascarpone cheese, oven dried tomato, balsamic glaze and served with arugula and frisee. The only problem is it is really small to share among the 4 of us. 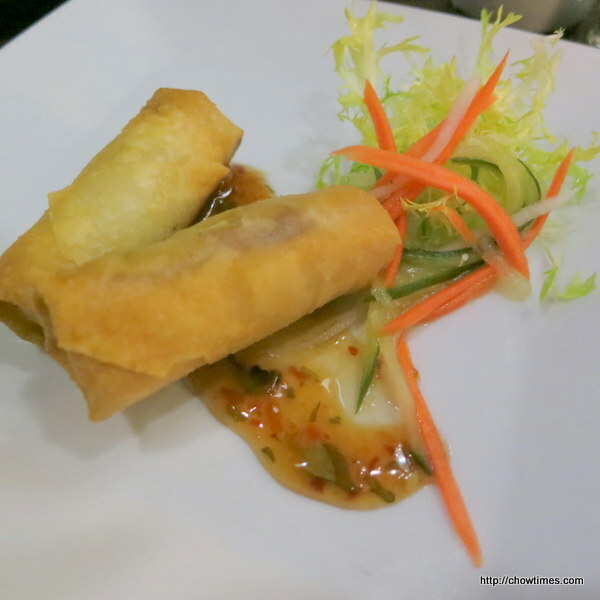 The third appetizer is Duck Spring Roll made with handmade Peking duck and served with spicy sauce and Asian slaw. 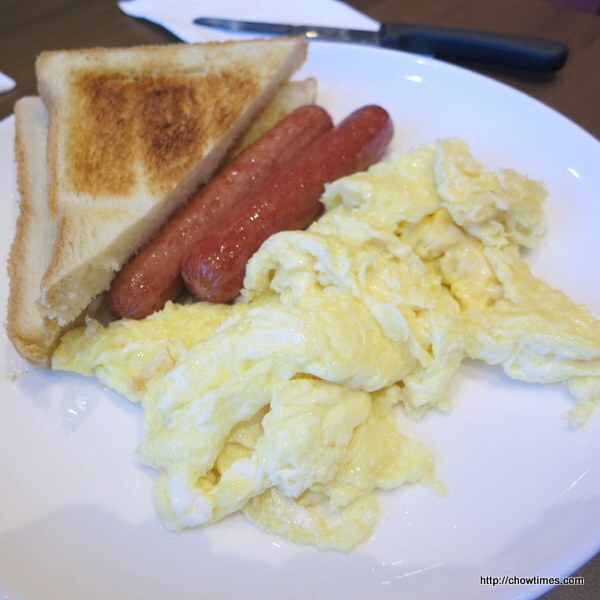 There is a new Hong Kong style cafe opens at the ground floor of the Richmond Public Market. Polly, Lorna and I decided to check it out one early morning since Polly has to go to work later. We ordered two combos to share. You can click on the above menus to have a larger view. 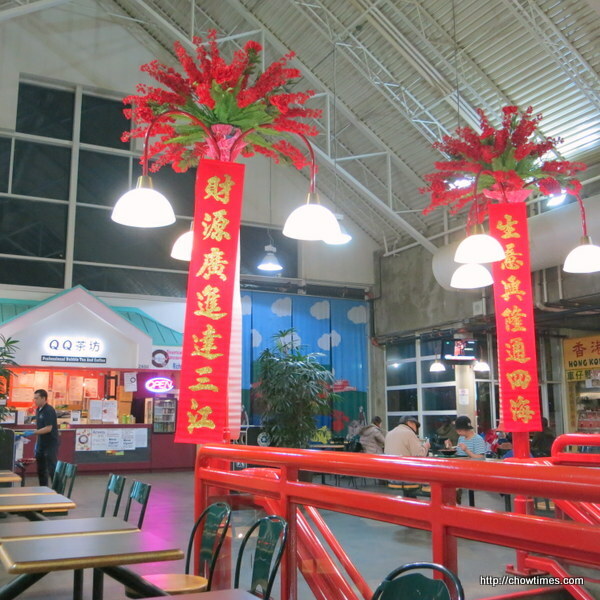 Richmond Public Market is decorated with red decor to usher the Chinese New Year, just like every Chinese mall in Richmond. 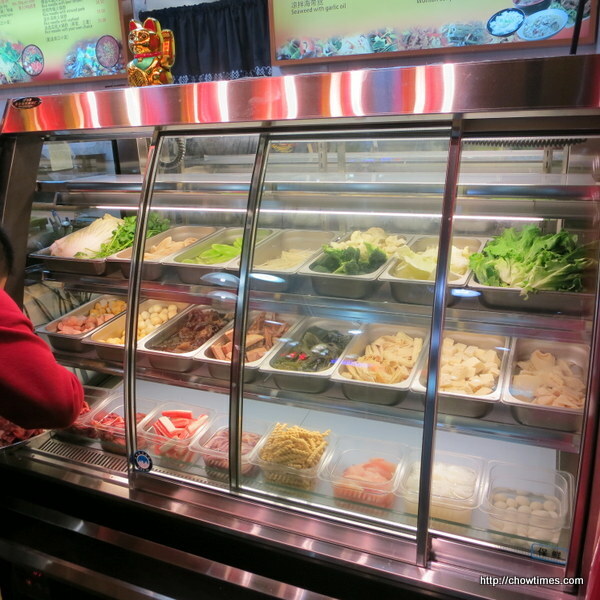 We went to the Richmond Public Market for dinner on a weekend. It was not busy at that time, around 7PM as most of the stores in the lower floor had closed or in the process of closing for the day. Nanzaro decided to try a new store in the Richmond Public Market. 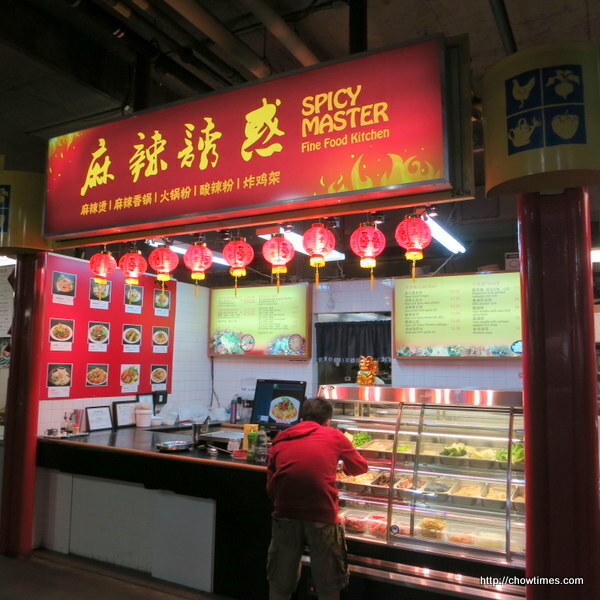 Spicy Master serves mala xianggoa just like Want Want Hot & Spicy House in Yaohan. You select the ingredients that you like and is charged by the weight. C howtimes wishes all a prosperous Sheep or Goat or Ram Year and more good eats. Happy Chinese New Year eve to all Chinese readers. 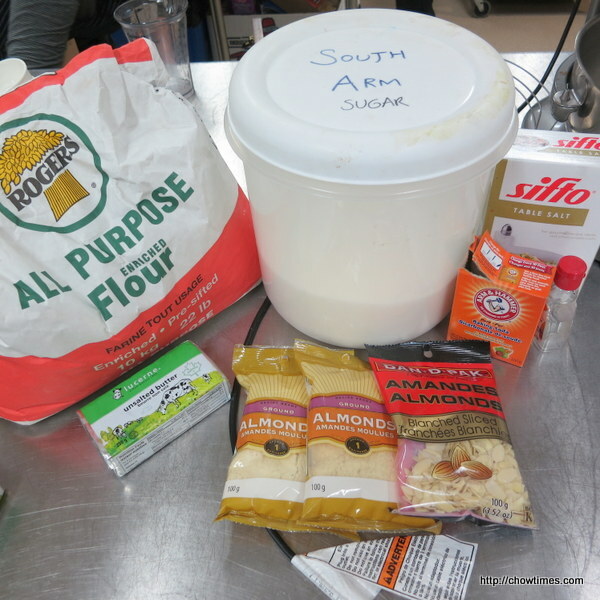 Michelle shared a Chinese Almond Cookies recipe in the South Arm Women Community Kitchen for a little Chinese New Year spirit. 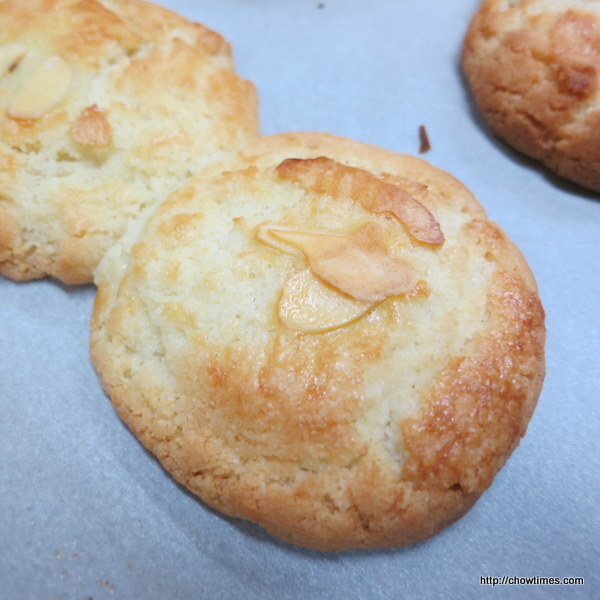 This Chinese Almond Cookie is light and is certainly great with tea or coffee. 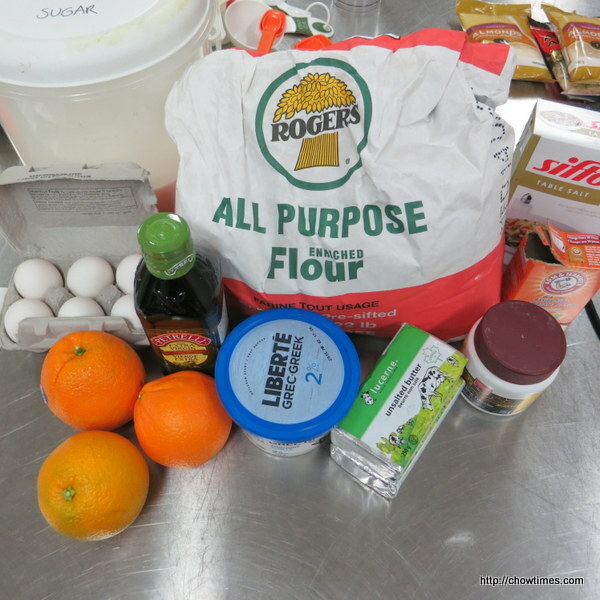 With Chinese New Year in the corner, Michelle shared with us why tangerines and oranges are one of the auspicious symbols of Chinese New Year. Tangerines in Chinese sounds similar to the word “luck” and orange sounds like the Chinese word for “wealth”. 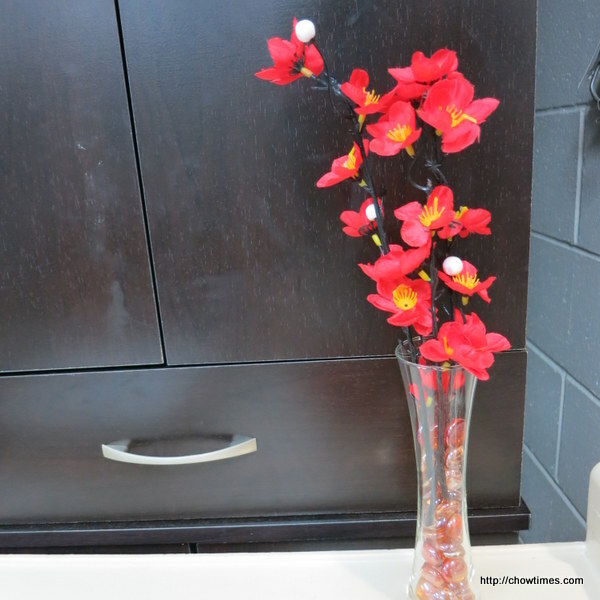 Through the play of words, the Chinese is associating the gift of orange and tangerine as having an abundance of happiness and prosperity. The bright orange colour of the fruits also symbolizes “gold”, hence it has an auspicious meaning to bring in good luck and wealth. 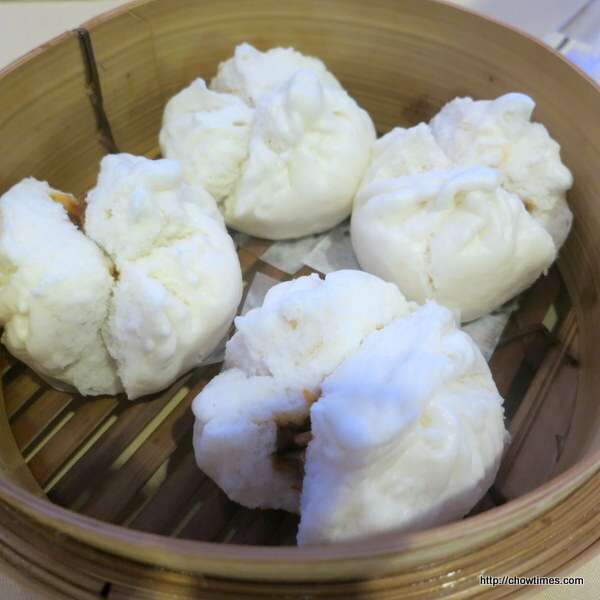 This is a very important factor for the Chinese New Year celebration. Hence, you will find tangerines and oranges, being displayed in houses, offices and shops as they believe it will usher in good fortune for the occupants. 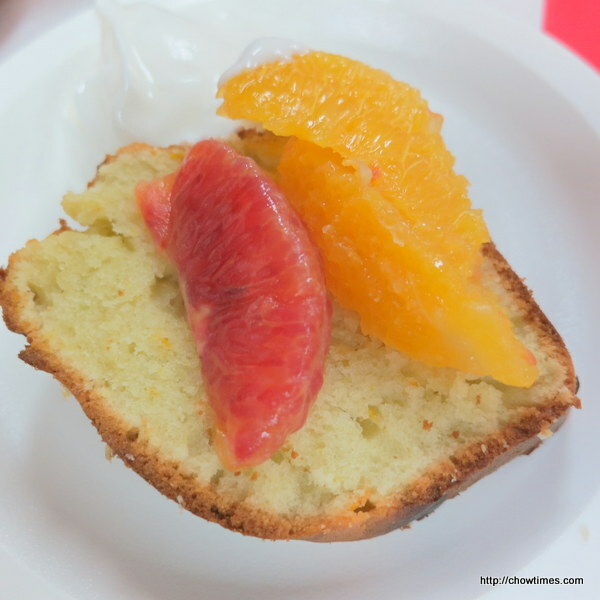 Michelle served the Orange Olive Oil Cake with a Honey-Orange Compote; recipe adapted from Smitten Kitchen.com. One of the participant of the South Arm Women Community Kitchen asked for stir fry recipes as her stir fry usually comes out bland. 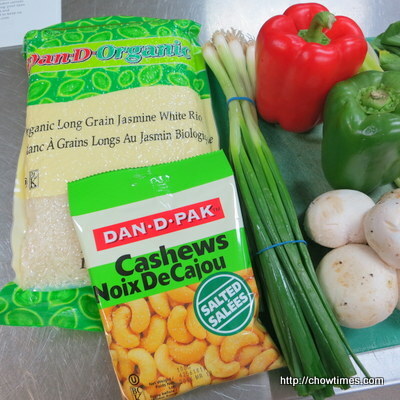 So, Michelle shared the above Pepper Garlic Vegetable Tofu Stir fry in this session. You can get what your body needs just by eating a colourful variety of fruits and vegetables. Nature has found a clever way to highlight the nutrients in foods. Different nutrients actually impart different colours to the foods they’re in. the anthocyanins that turn blueberries blue can also keep your mind sharp. the lycopene that turns watermelon and tomatoes red may also help protect against prostate and breast cancers. the beta carotene that makes carrots and sweet potatoes orange can help keep your bones strong, your eyes healthy and boost your immune system. While fresh fruits and vegetables are great in season, frozen ones are convenient to keep on hand and just as nutritious. This recipe is easily adapted to the vegetables and protein you have on hand. 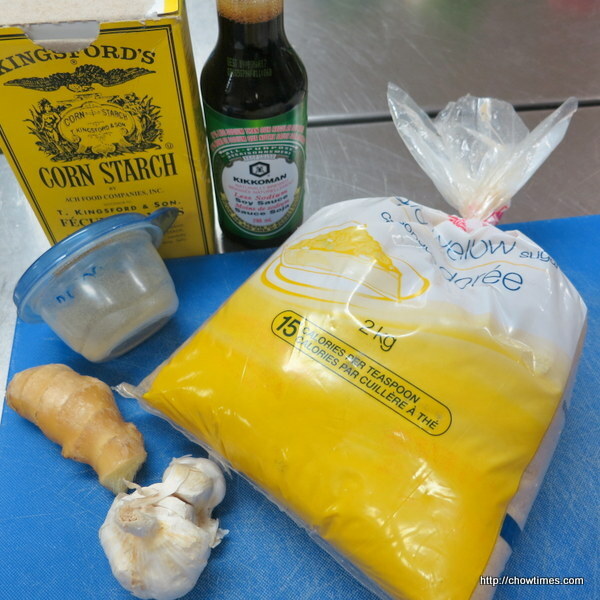 It is a great way to use up the leftover vegetables in the fridge at the end of the week. 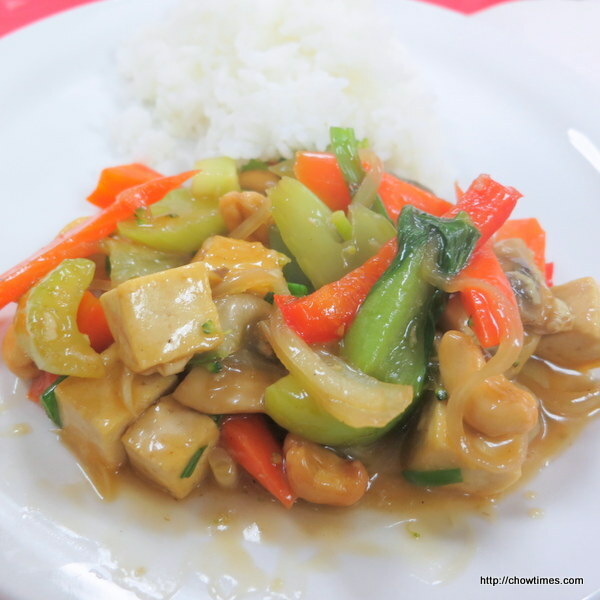 The stir fry can be served with steamed rice or noodles. 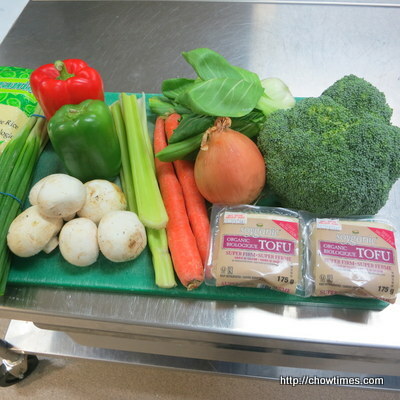 This recipe yields about 4 to 6 cups of stir fry vegetables. Ben wanted to get a jacket from Taiga. We went for lunch first before going to Taiga. 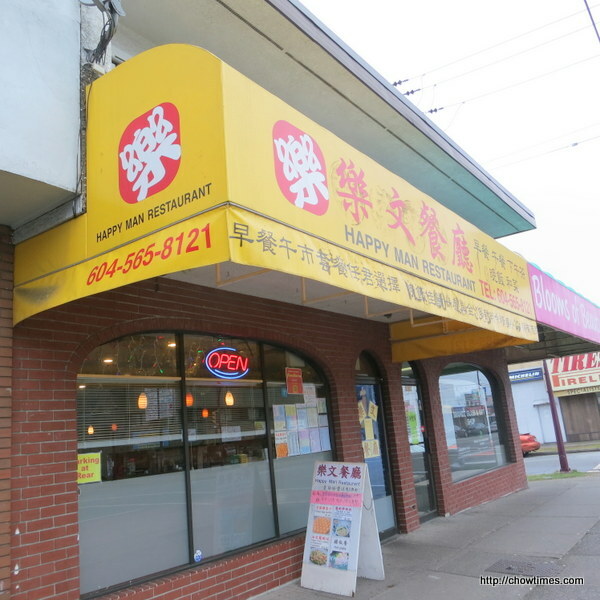 We stopped along Victoria Drive to look for a restaurant and we settled with Happy Man Restaurant. 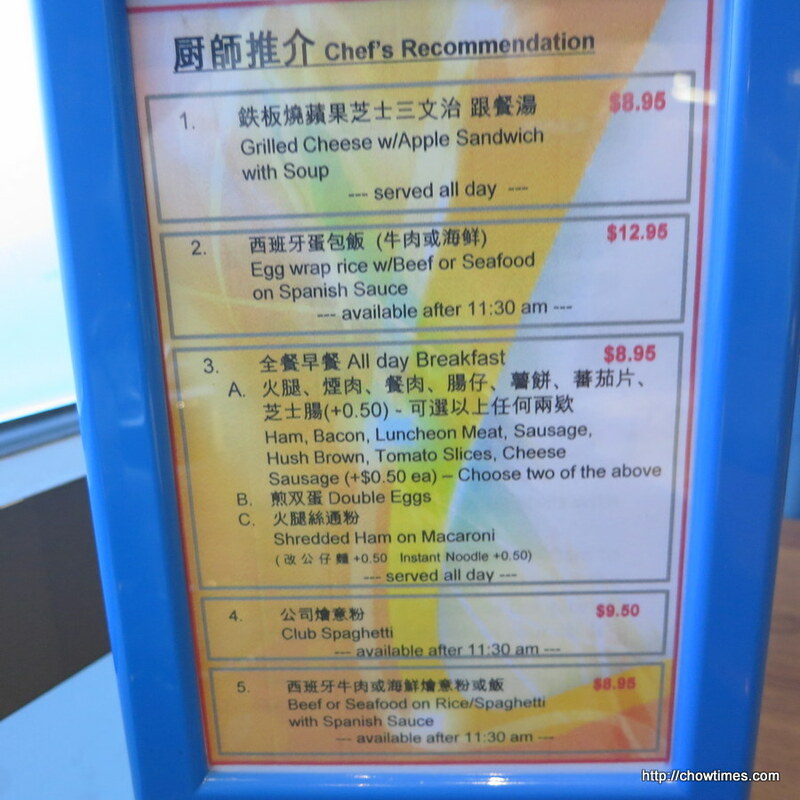 Happy Man Restaurant, like many Chinese restaurant has a whiteboard with daily specials. 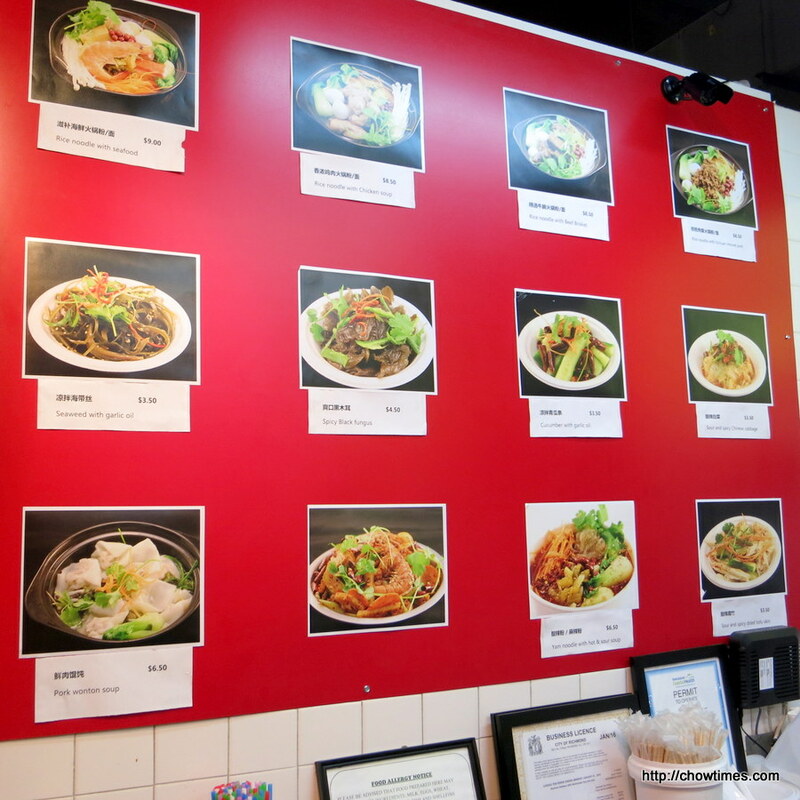 There are also colour photos of some of their menu items pasted on the walls. We went for their Combo for 2 which comes with free soup and rice for $24.95. 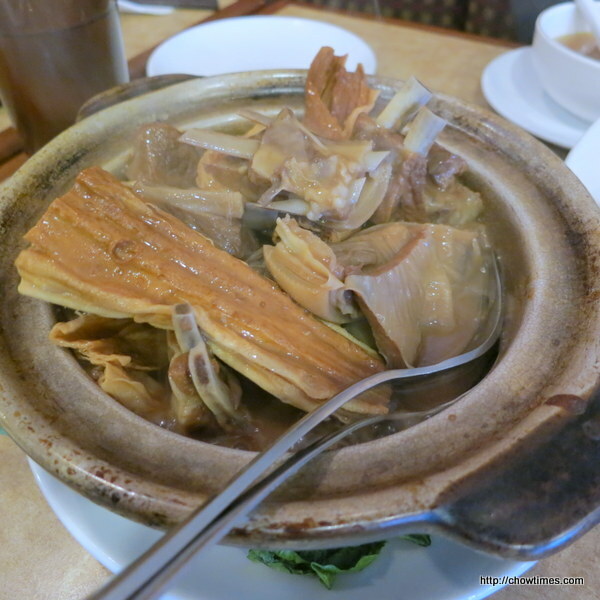 The daily soup was pork bone with carrots and lotus root. 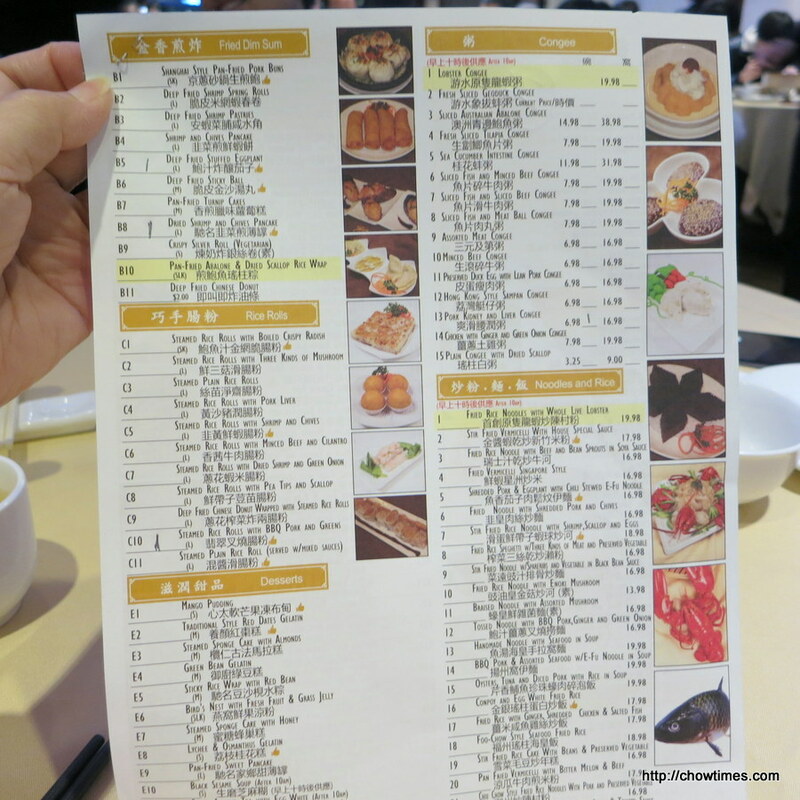 Once again, Ben is craving for dim sum. We went to Neptune Seafood Restaurant on a Sunday afternoon on prompto. That is not a good idea and the restaurant was packed. We had to wait for 30 minutes for our table. 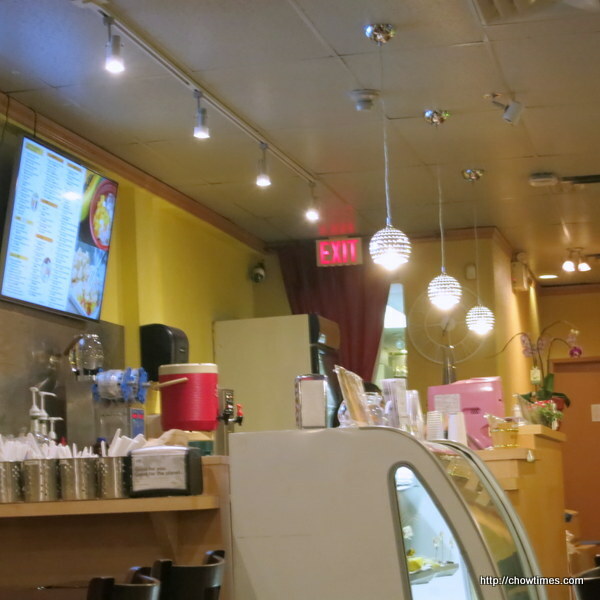 As we waited, we noticed that most of the customers coming in had reservation. 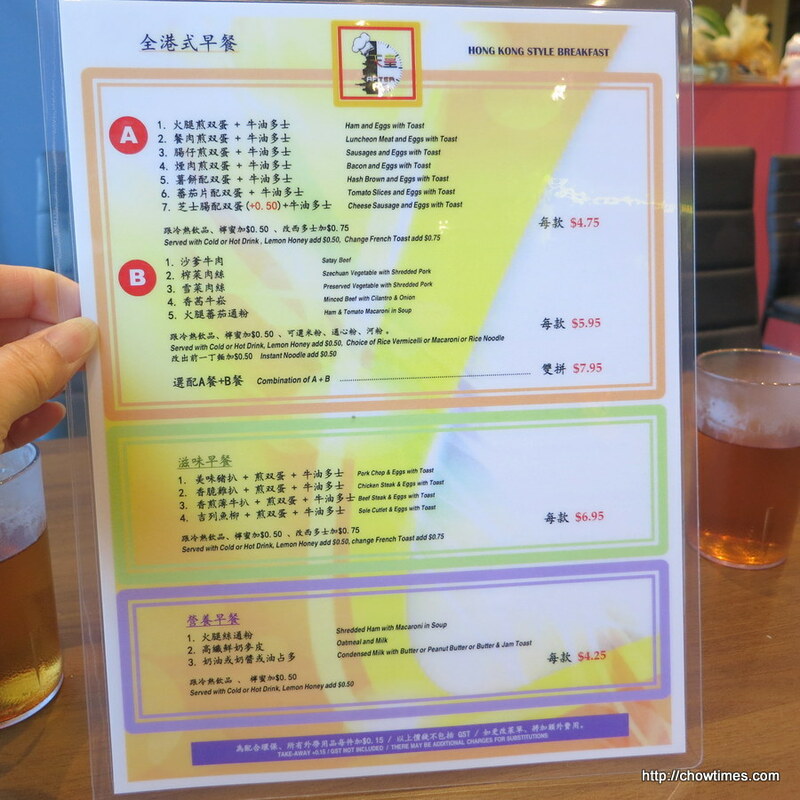 This time, I ordered “Iron Goddess” tea. I’m impressed that the cover of the tea pot is actually printed with the tea name. 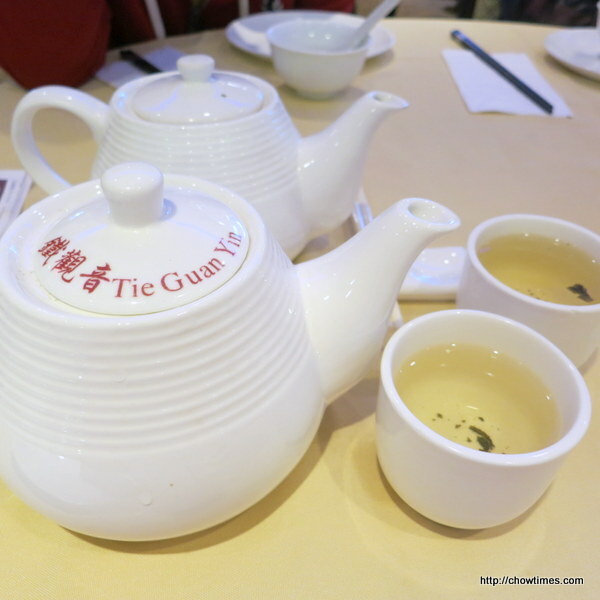 Most dim sum restaurants will have a slip of paper placed on top of the tea pot to indicate the tea name. You can click on the menu to have a larger view. Prices are on the higher end. First course is Pork Kidney/Liver Congee. Single serving is $6.98. The congee is slightly on the watery side. Luckily we only ordered the single serving as the boys did not touch it.